There’s a great video contest going on the YoYoExpert forum right now, specifically geared towards players who are 30 and older! 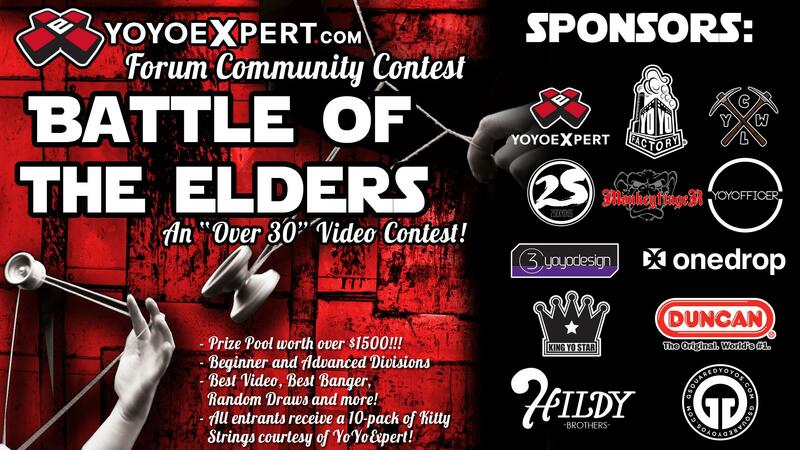 Check out details below, and head to the YoYoExpert Forum for instructions on how to submit your video. Eligibility: You must be 30 years or over before the closing date for entries. You can be from anywhere in the world. You must have a YYE forum account. Your post count and date of joining is irrelevant to your eligibility! Video Length: 1:34. Some will find this to be on the short side, but I have the judges to think about. 4 seconds at the beginning of the yoyo must display the contest graphic with all our sponsors. Format: This is a trick showcase video. Edits are allowed and encouraged though they are not strictly “required”. Your tricks can be across any category. Mostly 1A but with a 4A banger in your back pocket? Great. 3A has occupied your time and has become your obsession? Go for it. Fixed Axle is what “does it” for you? G’head! Divisions*: There are two divisions: “around” a year or under, and then… the rest. Yes, a person with a year and a half of playing will be going up against someone with potentially a decade or more of play. I’ve done it myself and you still have great odds. Even better this year, as you’ll see by the judging criteria. Judges: Judging will be by a panel of 5 AMAZING yoyo personalities (including National Masters, yoyo legends, and world-renowned players). Yes, I will tell you who they are. No, I’m not telling you yet. Turn to page 3 for the announcement that our panel includes Steve Brown, Dazzling Dave, Daniel Dietz, Augie Fash, and Ed Haponik! “Well, I entered!“: random draws will mean that everybody can still win big! “Best Banger“: A premium metal yoyo (and something else!) awaits the best trick across both divisions. Our judges have seen a lot of bangers, so if you’re after this prize, make it good! “More“: I have more ways to get yoyos into your hands. Stay tuned. 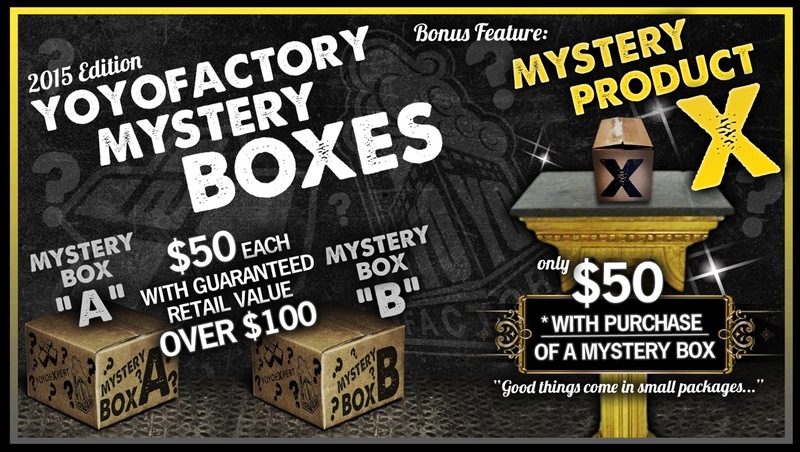 Every entry is qualified to receive a FREE 10-PACK OF STRINGS! 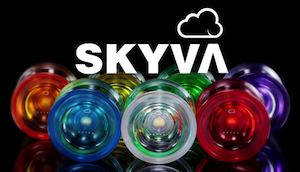 courtesy of our own YoyoExpert just for entering. When you submit your video, just let me know if you are interested in claiming them and I will take it from there. 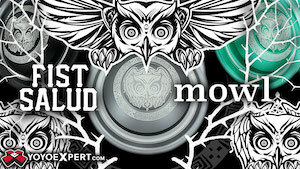 For details on how to submit your video for the contest, please visit the contest thread on the YoYoExpert Forum. Ed Haponik just finished making some amazing fixed-axle tutorials for YoYoExpert.com and to celebrate they thought an epic fixed-axle contest was in order! Every few days Ed will be posting a video on the YoYoExpert forum of a trick. You will have three days to film yourself successfully hitting that trick and post a link on the forums. This will be a knockout style contest. You must compete in every round from the start of the contest and everyone who successfully completes the trick will move on. If you cannot complete a trick then you will be eliminated and cannot compete in the next round. Once one round ends, the next will begin. The contest rounds will get increasingly difficult and will go on until we have one winner! – Must use fixed axle yo-yo to compete. – Must show yo-yo/axle to verify it is fixed axle in beginning of video. – Must post video link (Youtube or Instagram) within 3 days of Ed’s posted trick. – Must hit the trick correctly (Ed will judge) or you will be eliminated. – Must compete in all rounds of contest from the beginning to qualify to move on. – Once eliminated you cannot compete in any following rounds. Get to Round 2 and Win – 10% OFF YOYOEXPERT COUPON CODE! Get to Round 4 and Win – 20% OFF YOYOEXPERT COUPON CODE! RUNNER-UP PRIZE – An Ed Haponik Signed No Jive! GRAND PRIZE – Last person standing wins a Broke Village Fidalgo & Ed Signed Play Simply No Jive! CONTEST BEGINS IN ONE WEEK ON APRIL 24! The “eh” has returned to Yoyoexpert.com as a surprise release! More of a story than a yoyo model, the “eh” started out as a handful of drill-pressed throws that Ed Haponik and SPYY’s Steve Buffel cranked out in Steve’s Calgary garage. Fixed axle aficionado that he is, Ed evidently liked playing it so much that he asked Steve to make him a special one to use for a year straight, which Ed documented in videos and on 365yoyotricks.com. At the end of 2012 (and again in 2013), Yoyoexpert celebrated Ed’s commitment and Steve’s classic design by releasing a production version made by Portland-based woodcraft-powerhouse TMBR. One of the coolest aspects of the “eh” is that it represents the collaboration of four people, each of whom is respected within yoyoing for his own distinct contribution. With each release, the “eh” has seen subtle changes in material and engraving, but this is clearly the most significant change so far. Over the past year, TMBR’s “wood-thread” axle system has become increasingly popular among fixed axle players. This innovative and craft-intensive process allows for all-wood construction (no metal axle, no glue) AND take-apart design. Actually, it goes a step further as you can actually reconstruct the “eh” in butterfly, classic/imperial, or “pagoda” setups. The axle cap in the middle of the “eh” is a design necessity, but it changes the look substantially. The engraving is smaller and moved off the center, featuring the original “eh” logo on one side and the logos of the 3 companies responsible for it on the reverse. The body is also made from white oak (previous versions were red) which offers the smoothest surface and most uniform weight distribution of any “eh” so far. In terms of play, it’s a pretty awesome fixed axle yoyo. Its smooth walnut axle sleeps well enough and it comes back easily, maybe a little more aggressively than previous versions. In recent years, fixed axle has become its own distinct species. Where just a few years back, playing fixed axle meant you did regular 1a tricks as kind of a dare, these days fixed tricks have become marked by shorter sleepers and integrated stalls, kickflips, weird balances, and constant regenerations. The new “eh” really caters to these adaptations. The oak body is easy to control in a stall, the gap holds loops open on kickflips very well, and the flat rims make Ed’s backhand catches quite a bit easier. Bear in mind that it’s completely different from playing a modern unresponsive metal yo-yo. That may seem obvious, but it can’t be overstated. Playing wood is a different kind of challenge; one of the hardest and most rewarding in yo-yoing. The “eh” also comes with a typed note from Ed and one of his signed Yoyoexpert trading cards. Limited to 120 pieces total. 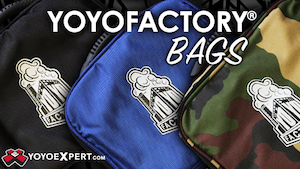 Available now exclusively from Yoyoexpert. YoYoExpert’s André Boulay recently sat down for a live chat with 1A legend Mark Montgomery to chat about the upcoming release of his latest signature model, the Markmont Classic, coming soon from One Drop. It’s always great to get the scoop on a new yoyo from one of the creative minds that developed it. The Markmont Classic is available from YoYoExpert TONIGHT at midnight…head over and grab yours soon! Five More Tutorials from Tyler Severance for 5AMAY! To celebrate 5A May YoYoNews, YoYoExpert, and Tyler Severance have teamed up to bring you some exclusive tutorials with motivation to learn! Buddha Redirect, Floating Beesting, Danny Rejection, Danny Front/Back Door, Dana Bennett Mach 5! If you learn any of the tricks you can score an exclusive discount on a SuperNova via YoYoExpert. (Tyler’s signature yo-yo!) See Bottom of Post! We are YoYo Players and we throw for different reasons. We throw because it brings us happiness and flow to our lives. Our meditation. We throw for the experience. For the friends and people we meet. We throw for the personal satisfaction of hitting a trick on and off the stage. The accomplishment and drive to always learn. We throw with meaning and cause. This is our art and our passion and an expression of who we are. This. Is. Why We Throw. 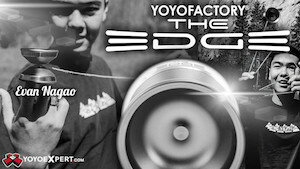 YoYoExpert was a proud sponsor of the 2014 California State Yo-Yo Contest and we teamed up again with the amazing Dennis Barahona to bring part of the contest experience to you. Get a feel of what it is like to be at a contest and why we throw. What it means to the players. What it feels like to watch history in the making. Whether you are there to observe, learn, or just be part of what is pushing our sport into the future. We thank all of you who attend these events and urge more to keep an eye out for a contest near you. 5A May – Tyler Severance – NEW 5A Tutorials & YoYoExpert SuperNova Deal! Today was the 10th Annual MA State YoYo Contest, organized by André Boulay and YoYoExpert, with special guest Ed Haponik! Players from five different states gathered to compete for top honors, and at the end of the day Tyler McCallumore took the win in the 1A Division and the title of MA State Champion! Check out full results from all divisions below. YoYoExpert is releasing a small prototype batch of YoYoFactory’s next metal release, the Too H.O.T.! The yoyo releases Friday at 10 PM EST, but at 9 PM EST YoYoExpert is going to host a live chat with Harold Owens III himself. Tune in for a chance to talk to Harold about his new signature model, his practice routine, and what he’s got planned for the 2014 contest season. 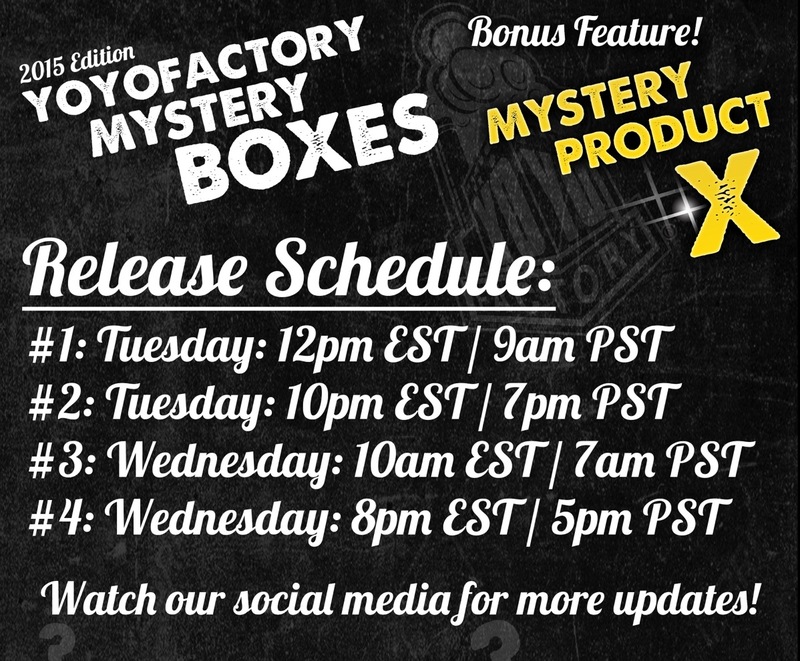 Head over to YoYoExpert.com for the release countdown page, and come back here tomorrow for the live chat!